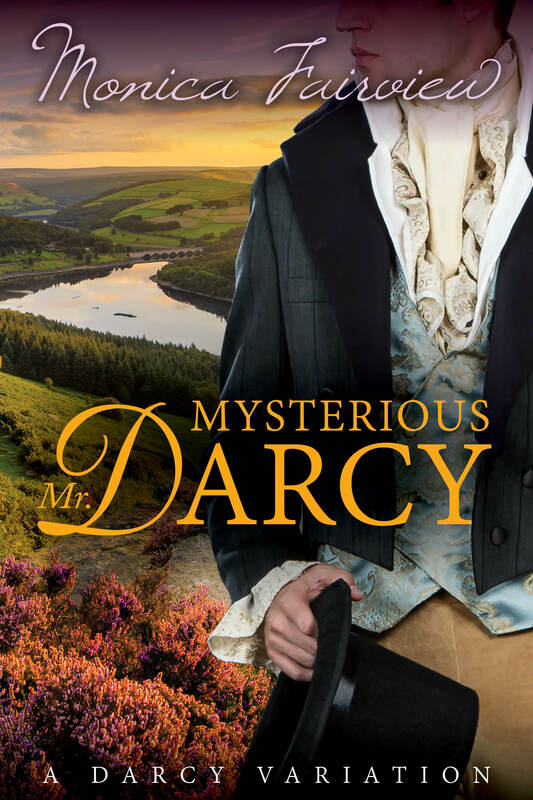 Today I am welcoming for the first time at From Pemberley to Milton author Monica Fairview who brings an excerpt of Mysterious Mr. Darcy for your delight. This book is not yet for sale, but it began as a WIP called When Pride Prevails that Monica decided to publish this year. I do hope you like this excerpt and if you are too eager to wait for the release date, you can start following this story at Austen Variations where the author has already 6 chapters published. I would like to thank Monica for visiting, I hope this is the first of many visits to talk about your work ! Thank you, Rita, for this lovely opportunity to visit From Pemberley to Milton. I have enjoyed reading about various authors who have visited here, and it’s a pleasure to find myself among them. It’s a great opportunity to get to know some of your readers as well. Mysterious Mr. Darcy is a bit of a departure for me. I generally write comedy, some of it rather outrageous, as is the case with my Steampunk Darcy, which is a futuristic novel about a descendant of the original Darcy, though they have a few things in common. Usually I like to “make sport” of the characters, Jane Austen style, and I find it hard to take them too seriously. This variation, however, is (mostly) serious, with a Darcy who is troubled not only by his past but by the present. It has consequently been a very unexpected kind of novel for me, and I have found myself stumbling across unexpected situations around every corner. One of the most challenging things about writing Mysterious Mr. Darcy – as is the case in many variations – was how to twist the original story to fit with the new premise. In a novel where Mr. Darcy plays second fiddle to Mr. Bingley, I often found myself falling back into familiar territory, then having to pull myself away as I realized that the story had to take a different direction. The fact that Mr. Darcy appears in Meryton incognito makes a huge difference to how he is perceived. It was fun to look at Darcy from this new perspective, even though the situation did actually make him profoundly uncomfortable. For example, in this excerpt, it is Elizabeth who goes to Netherfield, not Jane, which makes the dynamics quite different. When dinner was over, and it was time for Elizabeth to leave, she found herself at a loss. Without a way to return home in the dark and rain, as Mrs. Bennet had predicted, Miss Bingley was obliged to offer Elizabeth hospitality for the night. Elizabeth, meanwhile, would much rather have gone home. Miss Bingley was more gracious as a hostess than as a guest, but Elizabeth had spent more time than she would have liked in her company. The friendship Miss Bingley had claimed existed between them had not blossomed during this period. The conversation had been lively at the beginning but became more strained as the dinner progressed. They all soon discovered they had very little in common and were forced to engage in small talk. Although they were still maintaining a civil conversation, the Bingley sisters seemed to be taking it in turns to yawn, and they were making no effort at all to conceal their boredom. A half hour passed and the yawning increased. Elizabeth began to think it was a bad idea to adhere to her original plan. By now they had all fallen into silence, and since they had nothing more to say to each other, the Bingley sisters were seated at the piano, playing a duet half-heartedly. Elizabeth was about to confess herself ready to retire when a carriage drew up. “Ah, my brother is back!” Miss Bingley jumped to her feet, looking relieved. A few minutes later, Mr. Bingley came running up the stairs and strode into the room. Mr. Darcy entered the room at this point and bowed to Elizabeth. That clinched the matter. It would be foolish to make a point of leaving. It would be bordering on rudeness and might imply that she could not endure her hosts’ company a moment longer. Besides, she had already suffered a soaking. She wasn’t eager to face the elements again, in a cold and rattling carriage buffeted by the wind. “And you must plan to stay for dinner tomorrow as well,” said Mr. Bingley. Lizzy did not know what to say. She did not enjoy the company of either Mr. Darcy or the Bingley sisters, but Mr. Bingley’s sunny smile won her over. It would be an opportunity to know him better and to see him in his own home. It might also help her to determine if his interest in her was serious. The blazing smile he gave her was more than enough reward. 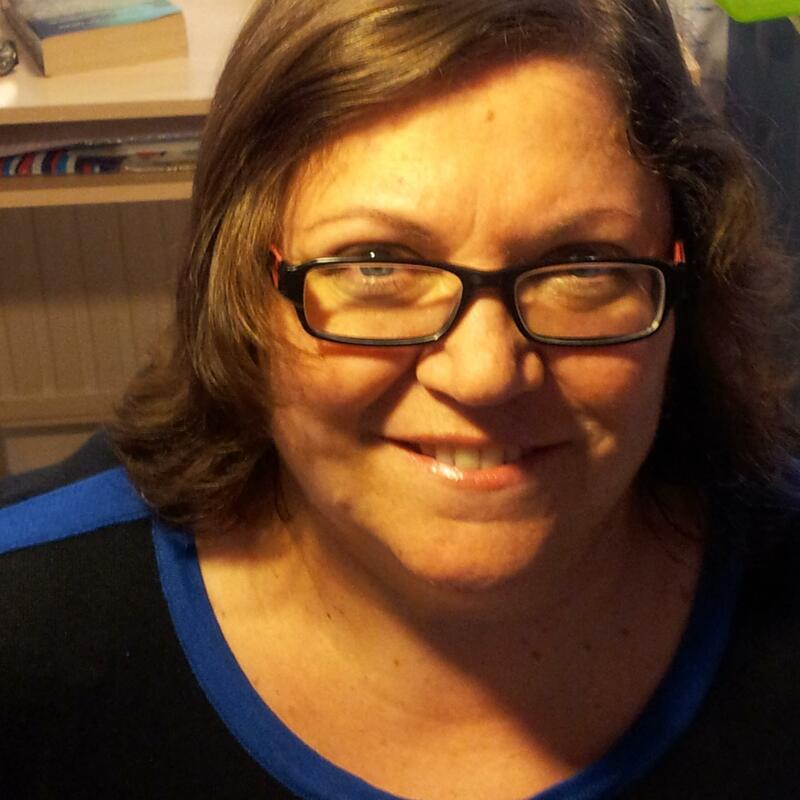 Monica can be described as a wanderer, opening her eyes to life in London and travelling ever since. She spent many years in the USA before coming back full circle to London, thus proving that the world is undeniably round. Monica adores the Regency period and Jane Austen’s wit. She writes funny Jane Austen sequels and variations but has finally decided to get serious about Elizabeth and Darcy. At the moment, she lives with two cats, a teenager, and her own Mr. Darcy. She enjoys singing out of tune in the shower, visiting historical mansions, and warm weather. Monica Fairview would like to offer 2 e-book copies and one paperback of Mysterious Mr. Darcy to my readers. The e-book copies are available for everyone across the globe, however the paperback is only available for readers with either an US or UK mailing address. To enter the giveaway all you have to do is comment on this post until the 15th of March and give us your opinion on the excerpt. The winners will be randomly selected and announced shortly after. The book will be sent out to the winners as soon as it is released. I can not wait! I love it. I don’t think many people would wait to see if the carriage would come back to take them home but E definitely would. Looking forward to reading it. Well, Elizabeth can be very stubborn when she wants to, Talia! Looking forward to my encounter with the less light, but definitely intriguing Mr. Darcy in this one. Thanks for sharing the excerpt and post. Thanks, Sophia. There are still some funny moments. I can’t help myself! Good point, Vesper. I always wondered why they invited Jane, too. As I say below, I think it was partly that they didn’t have anyone else to invite. I am now going to go to that link to the 6 chapters. Wondering how the incognito part plays out and the motivation for such. Thanks for the excerpt. I agree, Ria, especially when people bring an unexpected twist to the story. I’ve been reading the excerpts, it’s a really interesting variation since it totally changes the way most of the characters interact with Darcy. Yes, Miriam. That has been one of the enjoyable aspects of writing this variation. Hmmm.. interesting! I need to go find that link now! Thanks! I love a “darker” Mr. Darcy! Looking forward to this one! Thanks for the great excerpt and for the chance to win a copy. Thanks for stopping by, Pam! Not too grim, I hope. Mr Darcy incognito, very mysterious!! Sounds like it’ll be a great read! Thanks for sharing! What a twist in canon you have woven! Delightful! A incognito Darcy and Elizabeth at Netherfield instead of Jane. Unless there are some different personalities in the characters of Elizabeth and Caroline, I can’t imagine why Elizabeth was invited instead of Jane. Intriguing to be sure. Well, I followed canon in that someone got invited to Netherfield, Carol. The original letter (in P&P) said the two sisters were very bored, so maybe they did it because they had no one else to invite! They weren’t exactly very popular. I always enjoy a mystery, so I’d really like to read this one. I’ve seen the excerpts at Austen Variations and found them intriguing there, too. Looking forward to following the blog tour. Thanks, Ginna. Well, Darcy is mysterious, but the book isn’t really a mystery. It’s just that he conceals his past. Blessings as you prepare for the launch of this book and I hope you get well soon. Thank you, J.W!! I am on the mend now. I appreciate your good wishes. I enjoyed the except and wonder what drew Mr Bingley to Elizabeth instead of Jane. I hope he doesn’t become a major obstacle to ODC. Ah, for that you will have to go back to the beginning, darcybennett. This is a later chapter. Glad you enjoyed it even without the background, though. I just finished reading Monica’s three books “Mr. Darcy’s Pledge”, “Mr. Darcy’s Challenge” and Mr. Darcy’s Pride & Joy”. If anyone has not read them I highly recommend you do so! Thank you, Monica! Your new book sounds intriguing. Does Mr. Bingley fall for Elizabeth instead of Jane? I can’t wait to find out! How kind of you to say so, Sally. I’m glad you enjoyed them. Darcy is very different in that trilogy. I did laugh a bit at his expense (sorry!!). It will be interesting to see how you react to this Darcy. Oooh the dark and mysterious Mr Darcy! Looking forward to reading this one. I do admit I like the concept myself, Priscilla! This is definitely a unique and intriguing twist. I must see what happens! Elizabeth with Bingley feels so wrong. Thank you for the giveaway! Hello BeckyC I’m glad you enjoyed it. I know I posted a comment last night but don’t see it here. I am excited for the new cover and looking forward to the books release! Thank you for a chance at the giveaway!!! Hello Carole, thanks for stopping by. I know you’ve been following the chapters. The book should be coming out very soon! I can’t wait! Interesting excerpt. Although I have to agree with one of the other comments her. Bingley and Elizabeth – can’t get my head around that one. Thank you for hosting the giveaway. Best of luck on the release. Hmmm, Mr. Bingley interested in Elizabeth? Where is Jane? So many questions. Can’t wait to read it! Thank you, Dung. Yes, it is a bit different. Intriguing…Elizabeth and Bingley. I haven’t read the other chapters so this excerpt strikes me as a curious addition to P&P FF. I loved the authors other books so will anxiously await this one! Good to know, Theresa! I assure you, the connection between Bingley and Elizabeth does make sense in the context of the novel, however odd it may seem! Even if Jane is away from home and Elizabeth is the first to meet Mr. Bingley, it doesn’t matter to Mrs. Bennet as she will always try to maneuver to satisfy her agenda. Since Elizabeth is not sick, will the weather remain severe so she cannot return to Longhourn for a few days? Will the rivalry be Bingley vs. Darcy? Thank you for the excerpt and giveaway. Good questions, Eva! I can’t answer them at this stage 😉 , but thank you from bringing them up. I think the premise of this book sounds wonderful. And having Elizabeth takes Jane’s place is a twist that I did not expect at all. I wonder where Jane is and why Mr Bingley didn’t fall for her but choose Elizabeth. Thank you for the opportunity to win your new novel, Monica.